Flying by the seat of his pants, or pulling it out of his...? A fawning New Yorker article about Mr. Obama has had an impact so contrary to its deifying intent that, if author Ryan Lizza had understood what he'd written, he'd have had all the issues pulped. It surely is an accurate description, from President Obama's shocking passivity during Iran's 2009 Green Revolution to his dithering on Libya, acting at the very last moment, then handing off to a bickering coalition, yielding the current bloody stalemate. It's been a foreign policy of hesitation, delay and indecision, marked by plaintive appeals to the (fictional) "international community" to do what only America can. But underlying that style, assures this Obama adviser, there really are ideas. Indeed, "two unspoken beliefs," explains Lizza. 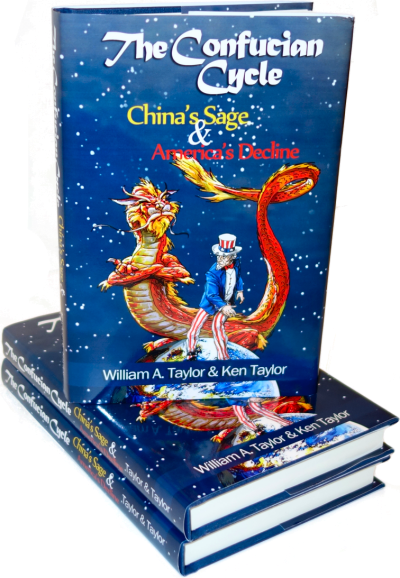 "That the relative power of the U.S. is declining, as rivals like China rise, and that the U.S. is reviled in many parts of the world." Amazing. This is why Obama is deliberately diminishing American presence, standing and leadership in the world? This idea of "leading from behind" has catalyzed the great debate about the Obama administration that's gone on from Day One: Is Mr. Obama simply pulling his "leadership" out of his behind, merely flying by the seat thereof? Or is he intentionally leading America to being behind because that's where he wants us to be? Or is he just a clueless follower of whomever or whatever the political winds dictate - the prime example being the recent killing of Osama bin Laden, where Obama's sole contribution to ten years of efforts by intelligence and military agencies was a sixteen-hour delay, followed by the approval that any president not wishing immediate impeachment must certainly have given? 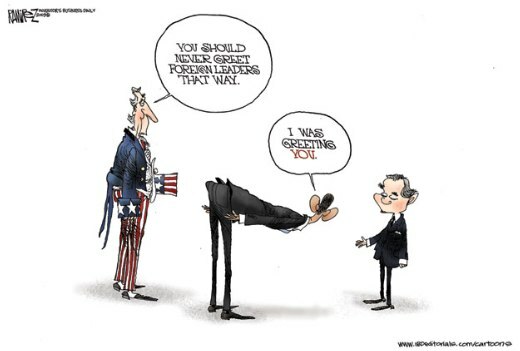 Put it another way: given that virtually every pro-active action he has taken as President has harmed America's wealth, power, economy, culture, and international standing, is Mr. Obama merely incompetent? Or is he consciously malevolent? Since the days of Stalin's Comintern, the international left has promoted the idea of America as a reactionary, imperialistic force dedicated to impeding the rightful rise to power of the Workers of the Word. From Communist Russian elite's point of view, this was perfectly true: insofar as the Soviet elites viewed themselves as The Workers as opposed to the actual workers who were being brutally crushed beneath their jackboots, America most definitely was opposed to their continuance in power much less to any expansion of it. Any sane or objective person, though, can't avoid the fact that ordinary nobodies in the United States live lives a thousand times better than under Communism or any form of government-imposed socialism. It's no accident that, after mass starvation, conflict, and oppression, the Communist countries of China, Vietnam, and Eastern Europe decided that there might be something to capitalism after all. Their people's wealth hasn't caught up with America yet despite what you might read in the paper, but there's no comparison with twenty years ago. Would this world-wide improvement in living standards have been possible without Fortress America or the Pax Americana? Of course not! Without America, Stalin's tanks would have rolled right across Europe; without the United States, the Latin American nations would be even more oppressed and impoverished than they are. We've certainly made mistakes, there's no doubt of that; but unlike most other hyperpowers throughout history, we almost always mean well and often try to fix the mistakes we've made and those of others too. Most of all, what sort of an "empire" conquers a nation and then pays to buy its oil or anything else? For the entire course of human history until 1945, conquest meant looting and asset-stripping; that was in fact the whole point of conquest. One nation in all of time has done otherwise, and that's the United States of America. Mr. Obama loves to apologize for the imagined evils perpetrated by our country despite the fact that any other nation in a similar situation would have behaved with orders of magnitude more greed, arrogance, and oppression. Instead, Mr. Obama is concentrating on stripping the assets of his own country and destroying the livelihoods of the people he purports to lead, particularly those who unwisely trusted him with their vote. We've written that, just possibly, Obama and his Marxist fellow-travelers really did believe that knocking America off its pedestal would be good for America and the world. Given the growing world chaos since Mr. Bush left office, no sane person could believe that anymore, yet Mr. Obama has moderated his leftist statism not one whit. The real test is whether Obama accomplished the U.S. goal of getting the United Nations to authorize war in Libya, and on that score he was successful. It’s no small thing. Bill Clinton could not get U.N. approval for the war in Kosovo and George W. Bush could not get U.N. approval for the war in Iraq. Thanks for clearing things up, Mr. Lizza! Neither Mr. Bush nor Mr. Clinton thought we needed UN approval to do what was right so they didn't ask. As this new quote makes utterly plain, to the Left, the important goal of American statecraft isn't winning a war. Lefties are convinced that getting UN permission is much more important than winning. Bush won his war. Clinton won his. Oh-so-"successful" Obama outsourced his war to the French and wound up in a stalemate with a two-bit tyrant who lives in a tent. Too bad he can't outsource his office as he delegated his war. French President Nicolas Sarkozy has long been called "Sarko the American." If only we could say the same of our President! "My gallant men go marching", said General Delay. "And I'll be right behind them, to lead them to the fray." The guns went boom, they turned and ran, and smashed the general flat. >and that's the United States of America.